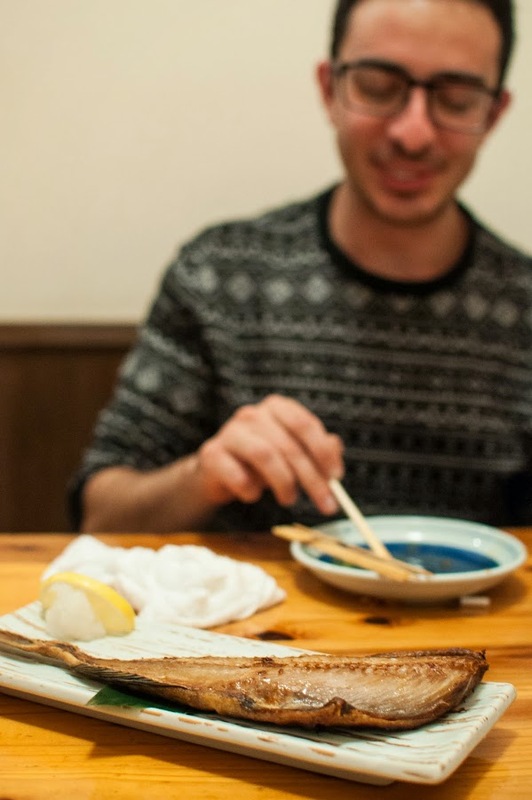 As soon as we entered Ajijiman Mihama, a cool little izakaya we had been wanting to visit in Chatan, we saw that the restaurant was designed in traditional Japanese style, with low tables separated by hanging blinds. Although, this meant having to take off my shoes and stash them outside of our dining 'cubicle', which Tania has started taking slightly too much delight in (Ha! You have to take off your shoes in here hahaha). Ugh, the perils of travelling through Japan with winter hiking boots for Russia. Regardless, it was a pretty fun experience, and we straight away we started flicking through the menu to see what took our fancy. Which was a little overwhelming, I must say. The menu. Note the cheese section. 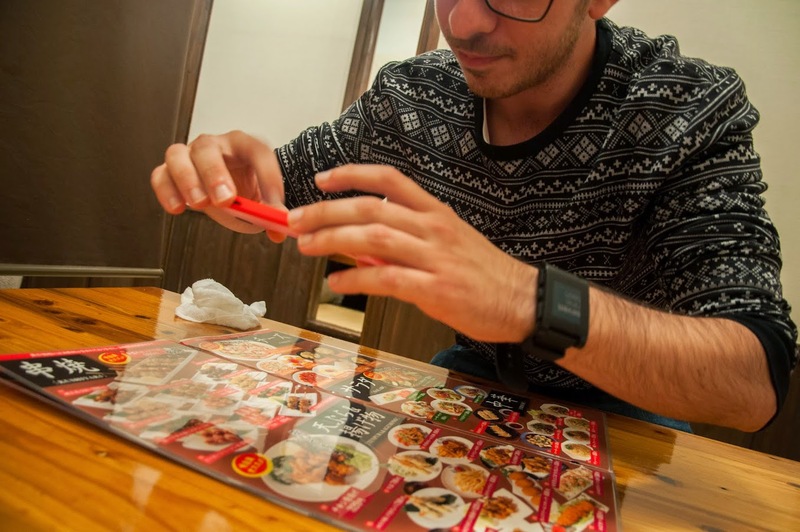 Divided into sections - for example Okinwa, Sushi, Sashimi, Fish, etc - our initial aim of translating menu items using Google Translate didn't work as well as expected, with the translations never really reaching English. Our modus operandi then shifted to a more ad hoc approach; choose the best looking dishes from each section. Which would have been easy, were it not for the fact that every single thing on the menu looked so damn good. Eventually we decided through a mix of methods; avoiding pork (ooh, that looks good - oh wait, it's wrapped in bacon), using the ever-reliable Select Who? app on my phone (Okay, you be the maybe-deep fried fish and I'll be the maybe-steak tartare), and using Tania's knowledge of various food-related kanji (oops, no, that's the kanji for pork belly. Oh, but I think this one's chicken!). We had finally decided, and pressed the buzzer to place our order. Unfortunately we ended up leaving a few sections untouched; namely the cheese, pasta, and salad sections (I did suggest a pepperoni pizza from the cheese section, but was rebuffed) as well as the dessert and sushi sections. Side note: I've been in Japan almost three weeks now and I still am yet to have a single piece of sushi. 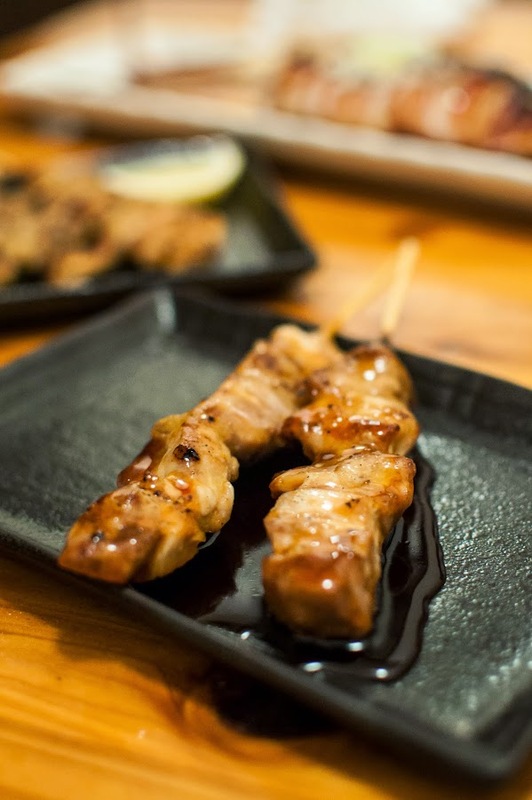 Perhaps that's testament to how strongly Okinawan cuisine differs from standard mainland cuisine. After taking 20-30 minutes to decide what we were having, we sat back and prepared ourselves for the wait (apparently izakaya's are quite slow, with food meant to be ordered in courses throughout the night). Which didn't turn out to be much of a wait, as the food arrived almost 5 minutes later. We were almost in shock ('did... did they somehow know what we were going to order in advance? 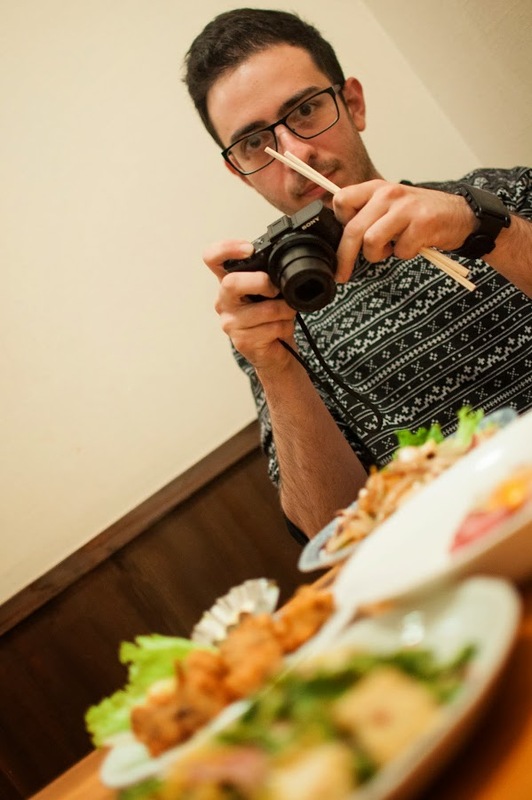 '), but quickly settled into the now familiar routine of painstakingly photographing and documenting the food in front of us. Perfect role-model tourists (no instagram involved, however). We were sure this was a steak tartare from the picture. 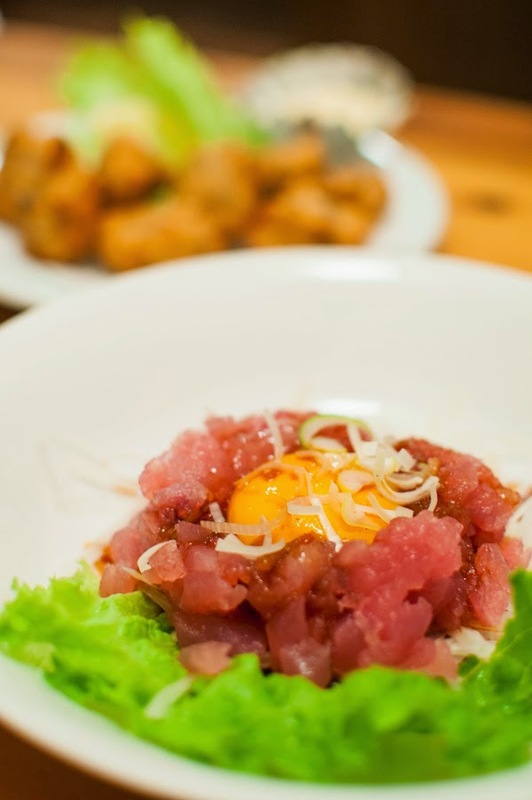 Oh well, tuna sashimi is just as delicious! 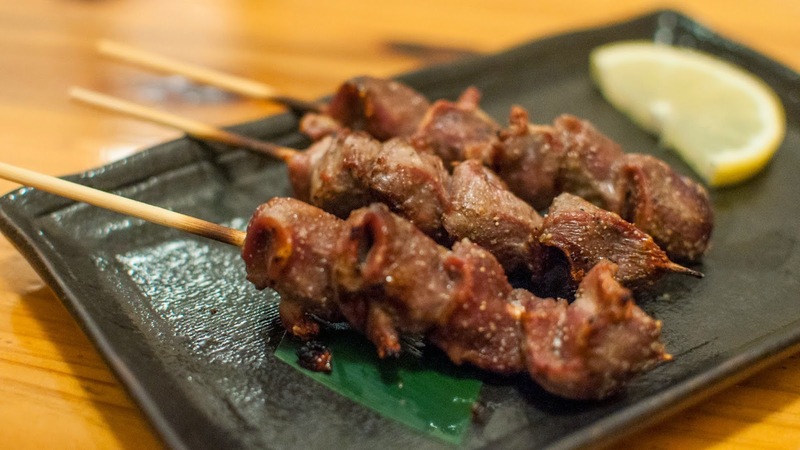 Ajijiman's is known for their yakitori, and they were pretty ridiculously delicious. 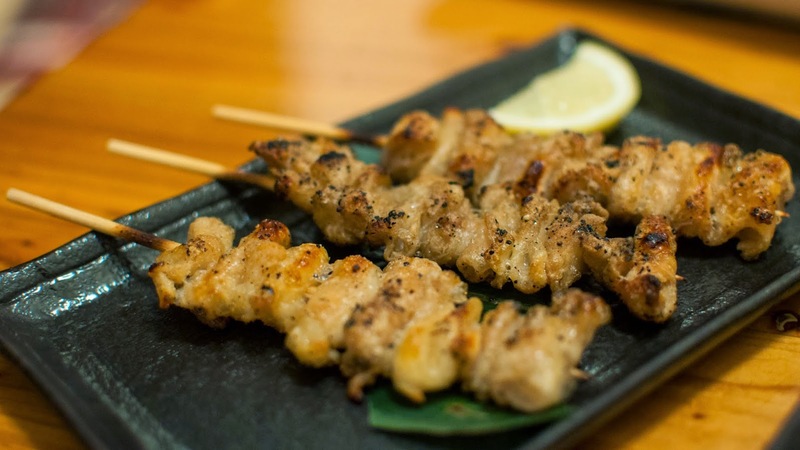 Chicken gizzard yakitori - not bad, but having never had gizzard before the texture was quite unexpected! Yet we were not prepared for the extant to which the American Village lived up to its name. It was just such a surreal walk. 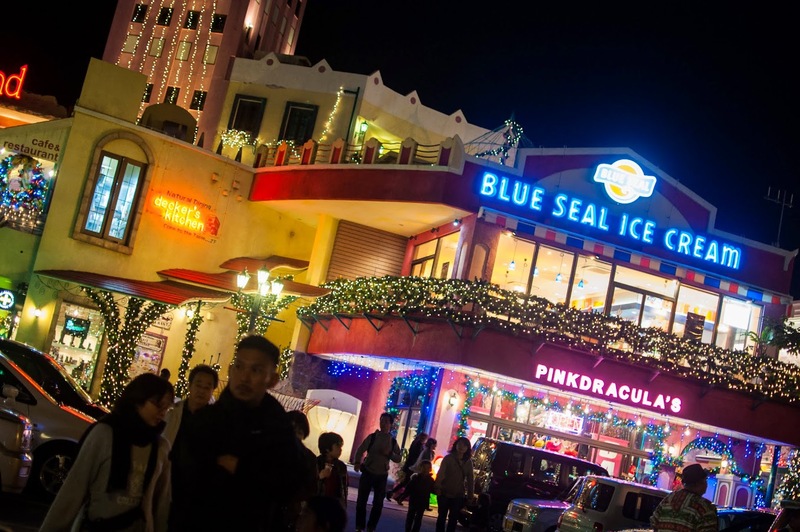 We couldn't help but laugh at the sight of it all, as we re-entered Japan and walked back to the car. 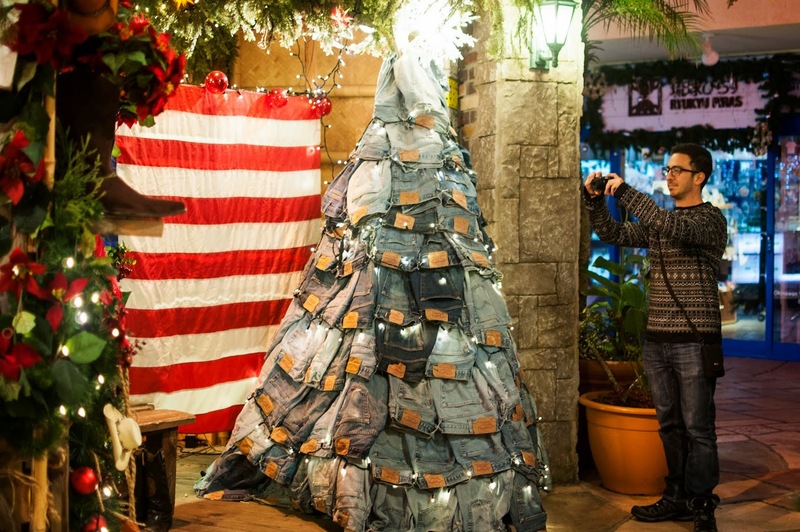 An American flag proudly flanking a christmas tree composed of jeans, outside American Depot. Yep. Pretty much sums it up.